For a truly memorable Florida vacation, a visit to Aqua Beachside Resort in Panama City Beach is like having a beach home that encompasses all of the amenities of a first-class resort. 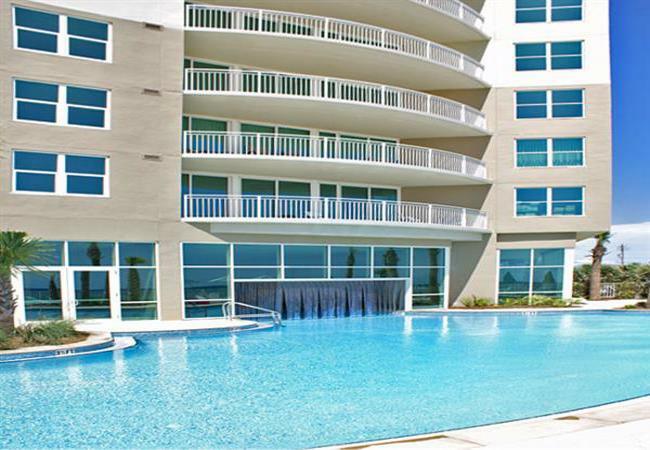 Unlike other Panama City Beach condo rentals on the Emerald Coast, this beachfront property provides 22 stories of luxury condominiums, an exclusive collection of fun activities, and exceptionally courteous staff. Combining scrumptious eating and seaside elegance, another feature of this prominent resort is its central location to the city’s award-winning restaurants. As the home to numerous Panama City Beach vacation rentals, guests are presented with many opportunities to explore the beauty of one of Florida’s most visited beach properties. At Aqua Beachside Resort, guests will receive all the comforts of a private beach home, which will accommodate both families and couples. Plush bedding, a relaxing whirlpool tub, and expansive terraces offers places to truly be at ease. Designed with careful attention to architectural detail, the suites reflect a coastal palette of crisp whites, sandy tans, and lush greens and feature local artwork that highlight the Florida lifestyle. Additionally, each room is illuminated with natural light through glass doors that provide the most breathtaking view of the Gulf of Mexico. With the convenience of a keyless entry system, washer/dryer, fully equipped kitchen, and fast wireless internet, nights spent here are definitely ones to be desired. This well-known beachfront property has earned the reputation as one of Florida’s premier luxury resorts that caters to members of an entire family. For those seeking outdoor adventures, experience one of many pursuits and fitness offerings including banana boat rides, kayak rentals, parasailing trips, and snorkel tours. Guests desiring indoor recreations may enjoy dancing away at the nightclubs, visiting numerous museums and galleries, or shopping at Pier Park. During their stay, visitors will also have access to onsite amenities such as an aromatherapy steam and treatment room, sparkling pools, special party/meeting rooms, a grandiose lobby, beautiful water gardens, and an exercise center. Inspired by its beautiful oceanfront location, these recreational offerings have greatly contributed to the resort’s alluring vacation destination. Aqua Beachside Resort is conveniently located on Front Beach Road in Panama City Beach, which is in front of the Gulf of Mexico. Because many of the attractions are within walking distance, guests can park their car in the covered parking garage as soon as they arrive to the beach property. The parking garage is connected to the resort via an air-conditioned walkway. Once guests arrive to the beach property, the courteous staff is eager to cater to every need in order to promote an unprecedented vacation experience. Although travelers have the opportunity to attend attractions in the city, one of the features of this resort is that visitors can enjoy a satisfying stay without even leaving the premises. Everything a guest could ever want can be found within these lavish condominiums. Acclaimed for offering travelers a vacation of a lifetime, this prominent resort strives to appeal to every interest.